Recommended cofiguration mounts the UR5 arm, the HOKUYO-UST-10LX laser, an Orbbec Astra and encoders in wheels. 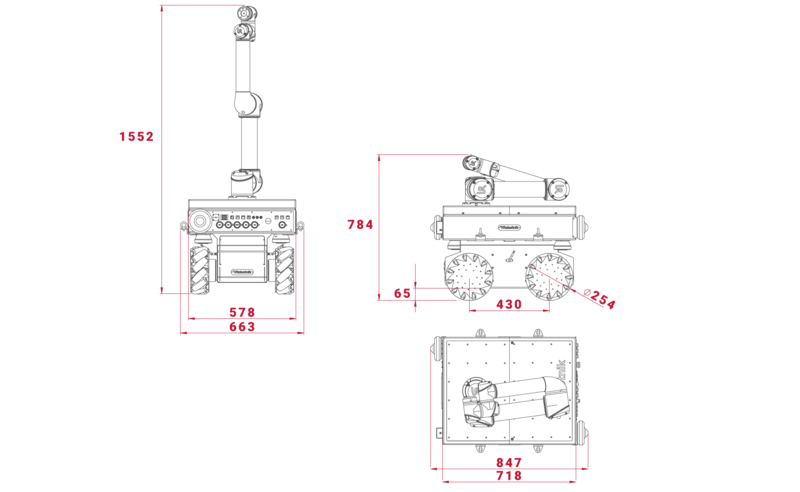 The collaborative mobile manipulator RB-KAIROS is specially designed for the development of industrial applications. RB-KAIROS is an industrial grade Collaborative Mobile Manipulator and it’s fully autonomous and completely integrated. In this sense, its main advantages are: an integrated software, wide range of tutorials and examples in ROS software, omnidirectional base, competitive price and high speed. 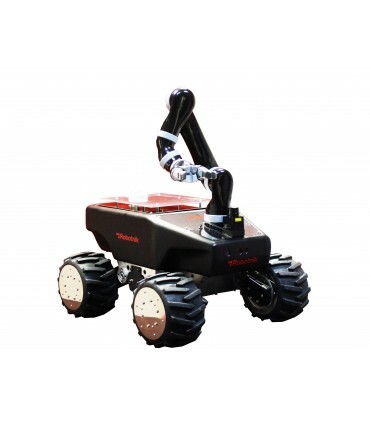 This innovating Collaborative Mobile Manipulator is specially designed for the development of industrial applications. RB-KAIROS is the ideal robot for logistics and industrial mobile manipulation: pick&place, pick&feed, fetch&carry, among others. RB-KAIROS has as base an omnidirectional platform using 4 high power motor wheels and is able to carry payloads up to 105 Kg. Furthermore, the robot mounts a 6 DOF high quality industrial collaborative arm that can handle payloads up to 5 Kg (completely extended). The arm can mount almost any standard end effector, including 2/3 finger servo-grippers and a ride range of cameras and sensors. There is also the possibility of integrating an arm with a load capacity of up to 10 kg or 3 kg.